New Balance commemorates the 116th Boston Marathon with a special shoe. Later this month will mark the 116th running of the Boston Marathon, arguably the world's most popular race. To commemorate the event, New Balance has released this special Boston version of the 890, featuring a colorful scheme that will make any athlete visible in the pack. Touted as the brand's lightest trainer to date, the shoe sports a blue synthetic and mesh upper, helped by splashes of red, yellow and orange. The insoles have been treated to a custom pattern featuring several marathon-inspired icons. Golden "N" logos adorn the side panels, while a speckled yellow midsole and blue outsole finish things off below. 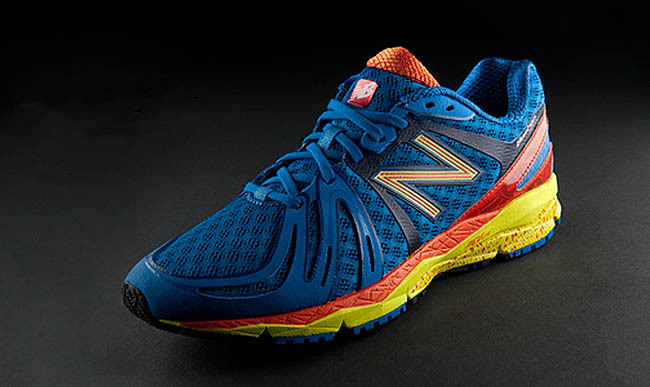 The Boston 890 is available exclusively at the new Boston New Balance Store and the Expo.